It is reported that over 95% of people consider their pets as part of their family. So, it’s natural to want to provide for them in the same way we might provide for another family member. In some ways our pets are children who never grow up. They will never be able to support themselves. They will never live independently. They will require our love and care for their whole lives. And in return, they offer us their unconditional love and a lifetime of incredible memories. If something happens to us, someone else must step into that role and provide for our pets. For many of us, this outcome is not something we are willing to leave to chance. Some well-meaning individuals found out the hard way you can’t simply leave money in a last will for the benefit of a pet. Consistently, courts have found that pets are considered property and as a result, a pet owner is prevented from leaving property for the benefit of property. It would be like leaving money for the benefit of a table, unless the recipient of the gift has a way to enforce the provisions of the gift, courts have determined the gift is invalid. In response to this need for pet parents to have a legal vehicle for providing for their “children who wear fur coats” the statutory pet trust was born. The ability to provide for our pets has been around for a long time – it’s always been possible to name a person as a beneficiary and then require as a condition of receiving the bequest of money the beneficiary take responsibility for the care of the named pet. A statutory pet trust, on the other hand, allows the beloved pet to be the actual beneficiary of the bequest with the provision that a pet caregiver (or pet guardian) and a trustee provide for the pet’s lifetime care. Most statutes, which are laws passed by our state governments, also allow for the appointment of an individual called a Trust Protector to enforce the terms of the trust since the pet isn’t able to do so..
(b) [Trust for Pets.] Subject to this subsection and subsection (c), a trust for the care of a designated domestic pet animal is valid. The trust terminates when no living animal is covered by the trust. A governing instrument must be liberally construed to bring the transfer within this subsection, to presume against the merely precatory or honorary nature of the disposition, and to carry out the general intent of the transferor. Extrinsic evidence is admissible in determining the transferor’s intent. (c)[Additional Provisions Applicable to Honorary Trusts and Trusts for Pets.] In addition to the provisions of subsection (a) or (b), a trust covered by either of those subsections is subject to the following provisions: (1) Except as expressly provided otherwise in the trust instrument, no portion of the principal or income may be converted to the use of the trustee or to any use other than for the trust’s purposes or for the benefit of a covered animal. (2) Upon termination, the trustee shall transfer the unexpended trust property in the following order: (A) as directed in the trust instrument; (B) if the trust was created in a nonresiduary clause in the transferor’s will or in a codicil to the transferor’s will, under the residuary clause in the transferor’s will; and (C) if no taker is produced by the application of subparagraph (A) or (B), to the transferor’s heirs under Section 2-711. (3) For the purposes of Section 2-707, the residuary clause is treated as creating a future interest under the terms of a trust. (4) The intended use of the principal or income can be enforced by an individual designated for that purpose in the trust instrument or, if none, by an individual appointed by a court upon application to it by an individual. (5) Except as ordered by the court or required by the trust instrument, no filing, report, registration, periodic accounting, separate maintenance of funds, appointment, or fee is required by reason of the existence of the fiduciary relationship of the trustee. (6) A court may reduce the amount of the property transferred, if it determines that that amount substantially exceeds the amount required for the intended use. The amount of the reduction, if any, passes as unexpended trust property under subsection (c)(2). (7) If no trustee is designated or no designated trustee is willing or able to serve, a court shall name a trustee. A court may order the transfer of the property to another trustee, if required to assure that the intended use is carried out and if no successor trustee is designated in the trust instrument or if no designated successor trustee agrees to serve or is able to serve. A court may also make such other orders and determinations as shall be advisable to carry out the intent of the transferor and the purpose of this section. (a) A trust may be created to provide for the care of an animal alive during the settlor’s lifetime. The trust terminates upon the death of the animal or, if the trust was created to provide for the care of more than one animal alive during the settlor’s lifetime, upon the death of the last surviving animal. (c) Property of a trust authorized by this section may be applied only to its intended use, except to the extent the court determines that the value of the trust property exceeds the amount required for the intended use. Except as otherwise provided in the terms of the trust, property not required for the intended use must be distributed to the settler, if then living, otherwise to the settler’s successor’s in interest. 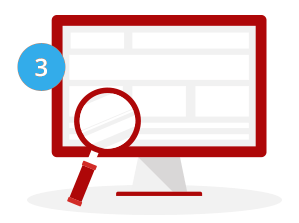 In each of the two provisions – both the UPC and the UTC version there are similar themes, although the UTC version is shorter. Each declares a trust may be created for the benefit of an animal. Generally, the trust will terminate (or end) when there is no animal living that is intended to be provided for by the trust. The language of the trust should be interpreted in a way that is most consistent with the intent of the person who created the trust (referred to as the transferor, settler, grantor, Trustmaker). Unless provided by the trust, no one other than the animal beneficiaries of the trust are supposed to benefit from the provisions of the trust. When the trust ends, the remaining trust assets should be distributed to the Trustmaker, if living and if not, then either according to what the trust directs or according to the terms of the Trustmaker’s last will or if there is no last will, then to the heirs of the Trustmaker. The proper use of the trust assets can be enforced either by someone appointed by the terms of the trust (a Trust Protector) or the court has the ability to appoint or remove such a person. Except as ordered by the court or required by the trust language, the Trustee generally does not have a duty to account for the trust assets to anyone. A court has the right to reduce the amount of the assets in the trust if it determines the amount substantially exceeds what would be necessary to provide for the animals covered by the trust. If the trust instrument fails to appoint a Trustee or a successor Trustee, the court has the ability to make these appointments. Lastly, the court has the ability to make any other determinations it deems advisable. There is a lot of hidden meaning in each of the above statements and an entire article could likely be written describing the pros and cons of each provision. And to make it even more complex, each of the United States and the District of Columbia may have made minor revisions to the uniform language. It is important you review your state statue and consult with a legal professional licensed in your state if you have specific questions or concerns. Michigan State University Animal Law Center has prepared a map of the states that have adopted pet trust statutes. Minnesota is the only state currently without a pet trust statute, although one is currently pending. For ease of a reference a chart with the states, the adoption date, termination date, UPC/UTC foundation and statute number is attached. Pet trust laws provide pet owners with the opportunity to insure their pets are provided for at all times. Each pet parents plans to take care of their pets as long as they can, but there are many reasons why a person might become unable to care for their pets. If there is an unexpected accident or illness, pets may require care. In the event of death, loved ones aren’t always prepared to provide for the care of the pets left behind. They may be dealing with their own grief and the pet holds too many memories; they may be required to change their lifestyle and can no longer keep a pet; they may be physically or emotionally unable to care for the pet; or the type of pet is not one they are comfortable with or have living arrangements to accommodate. Clearly identifying the pets intended to benefit from the trust. Providing detailed instructions for the day-to-day care of your pets. Naming a pet guardian (caregiver) and alternates for your pets. Naming a trustee and alternates for the management of the trust assets. Naming a trust protector to enforce the provisions of the trust for the benefit of the pets. Executing the pet trust with the proper formalities to ensure compliance with the law. Ensuring there are sufficient assets to provide for the lifetime care of your pets. Reviewing and updating the pet trust on a systematic and regular basis to make more than sure the pet trust is relevant and consistent with your wishes. Not all pet trusts are created equal. Attorneys, like other professionals, have varying degrees of commitment, expertise and skill. Pet lovers should select someone who has a passion for their craft and a dedication to animal advocacy. To address this concern on a nationwide basis, PetWill has developed a one-of-a kind pet trust intended to be valid in all 50 states and the District of Columbia. The PetWill Pet Trust guides the pet parent through the key factors set forth above to give your pets the greatest possible chance of having a lifetime of protection. 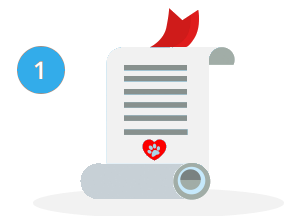 In addition to the legal document (the pet trust itself), your wishes and pet's care instructions are backed up online 24/7 on a Website uniquely made for your pet. This means each of your pets get their own Online Pet Profile link custom-engraved on their Pet ID Tag. 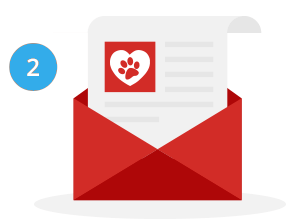 When someone types this link during an emergency they will know everything important about your pet, such as their diet, allergies, health history, photos and who their guardians are in case you are not available. PetWill's pet trust for the care of your pet takes only minutes to complete and is only $15.95 for your first pet and $9.95 for each additional pet. No one protects your pets like PetWill. Simply visit mypetwill.com today to protect your pet with a PetWill Pet Trust.